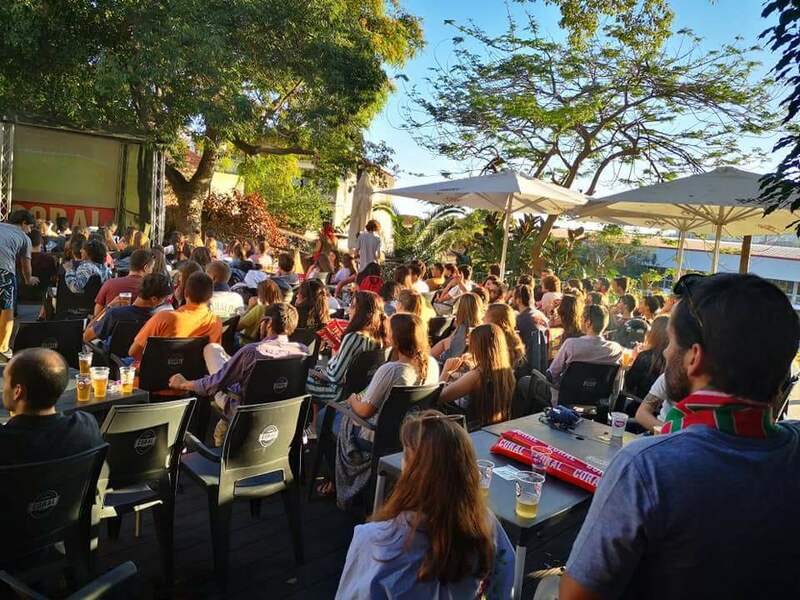 If you are looking for a place to see the World Cup matches in Funchal, here are ten suggestions to follow this World Championship. Whether in one or several screens, in public squares or discrete bars, with “dentinhos” (a kind of Madeiran tapas), beers, ponchas or local “Brisa” passion fruit, what matters is to support your team. Let’s go! If you enjoy watching World Cup matches in public squares and feel the adrenaline of a crowd and vibrate with every corner kick, this is the ideal place. 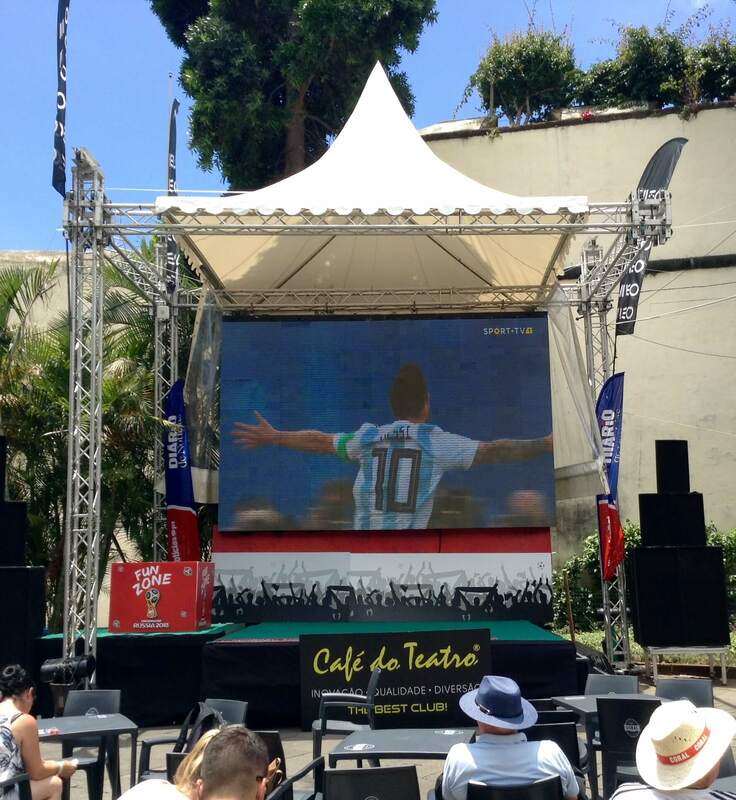 Right in the center of the city, more precisely on Largo da Restauração, the screen is giant, and there are food and drinks in the stalls that surround this small world of fans. Take the scarf, the flag, the shirt of Ronaldo 🙂 and the whistles! Go, go, go! The Café Museum opened its doors to the World Cup. The seating capacity is about 30 seats at the table, but they put rugs on the grass where more people can sit. In the games of Portugal, they serve “dentinhos” (Madeiran kind of tapas) with gizzards, baits, or tuna with onion sauce. They transmit all World Cup games, but the affluence has been stronger in the matches of Portugal; hence they limit the “dentinho” to those days. In the other games of the World Cup, there is always lupines (well seasoned) and the sweet potatoes, fried in olive oil. Try it out! The motto of IlhaKafé is “Eat, drink, experience Madeira.” And why not eat, drink and experience Madeira, without losing a World Cup game? They transmit all the games in 5 Screens, 2 in the terrace and 3 in the interior. They have à la carte, and snack menus from 11 am to 11 pm. The most typical dishes include grilled limpets, tomato soup, tuna steak with vilhão sauce, passion fruit mousse … (pause to salivate). Do not miss happy hour from 4 p.m. to 6 p.m. and make a toast to your team! It’s located in front of the pavilion of the Liceu Jaime Moniz (local High school), and during my adolescence, it was known as Amazonia (Alas the 90s!). Today it continues to have a great outdoor space with a terrace ( plus a beautiful sunset), as well as an interior space. The games of Portugal are transmitted on the giant screen, on the main terrace. 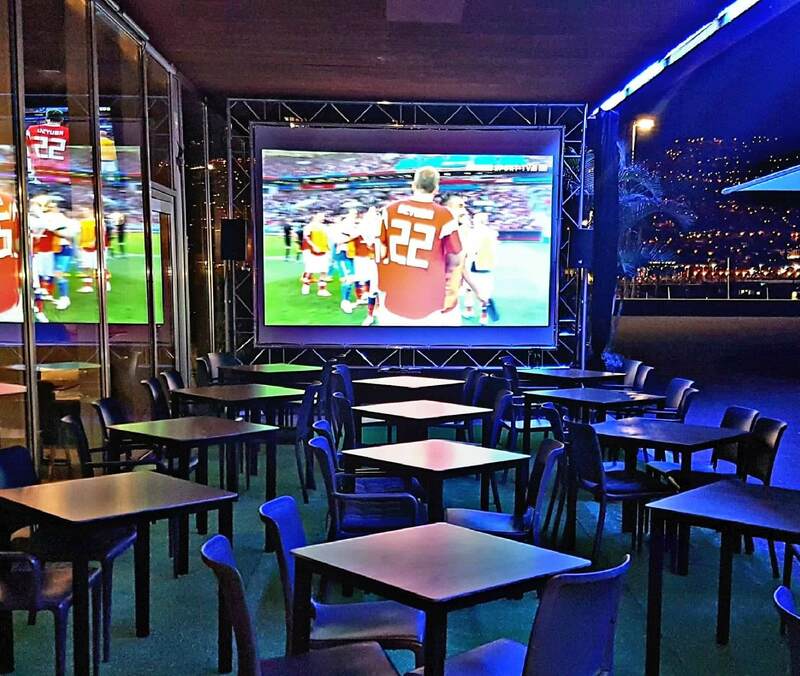 The remaining matches of the World Cup are broadcast on several TV’s (one in the indoor space and another on the terrace). The menu includes “bifanas” (pork sandwiches), “pregos” (beef sandwich) and tuna paninis. 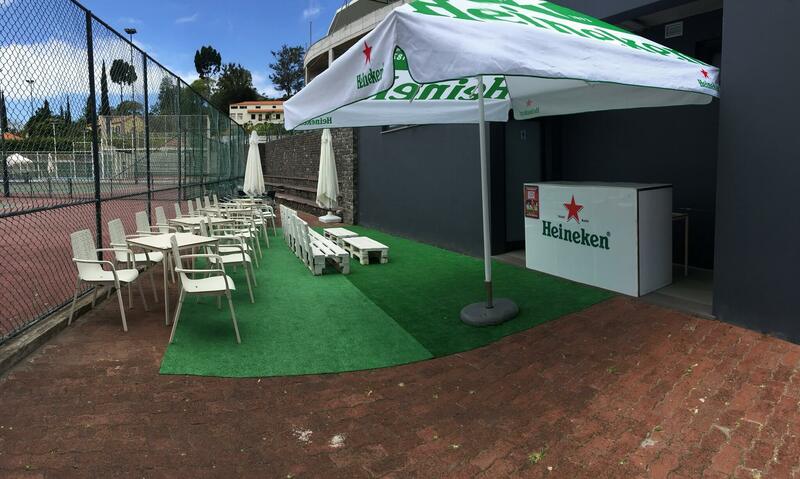 Next to the Tennis Club of Funchal, is the “Match Point” Bar. Here, the specialty is “pinchos” (typical Spanish tapas) and boards of cheeses. They transmit all the games of the World Cup, with the possibility of seeing them inside or outside. If this is the World Cup was like tennis, it is a case to say: – Wishing for many Match Points and may your team win! Based on an original concept by the Óscar Niemeyer Architect, the Casino da Madeira is one of the most emblematic buildings of Funchal. 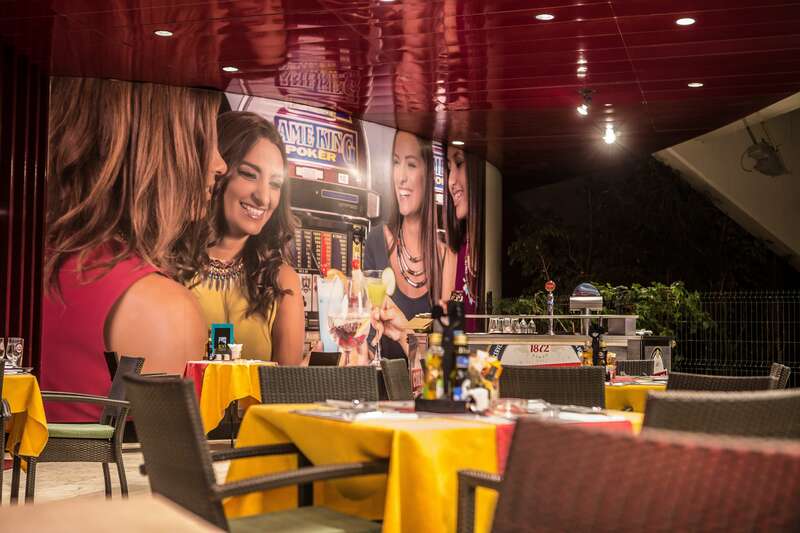 Outdoors, you’ll find Rio Restaurant with a big screen where you can watch the games of Portugal in the World Cup. The menu includes a barbecue/buffet, with a drink included. 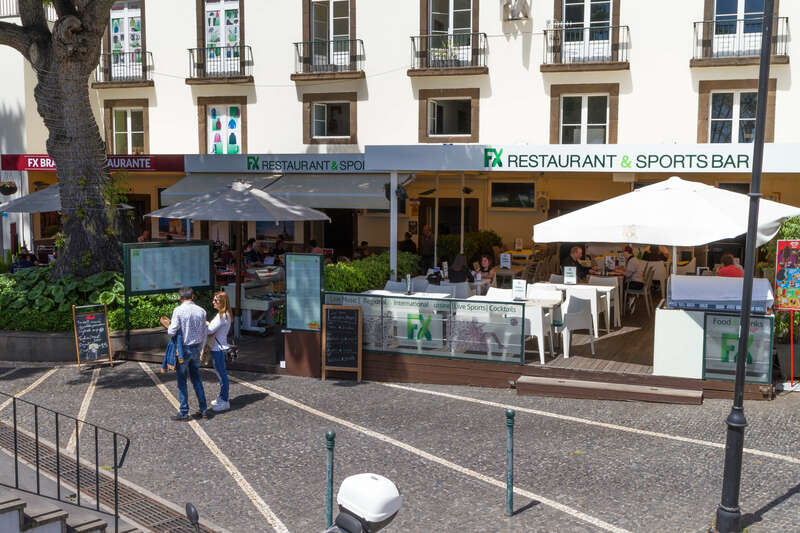 With an excellent location, facing Avenida do Mar, the FX Restaurant & Sports Bar transmits football games throughout the year. Of course, the World Cup is shown here too! You can even see several games at the same time, since there are ten tv’s in this space! You will not miss opportunities to shout goal!!!! 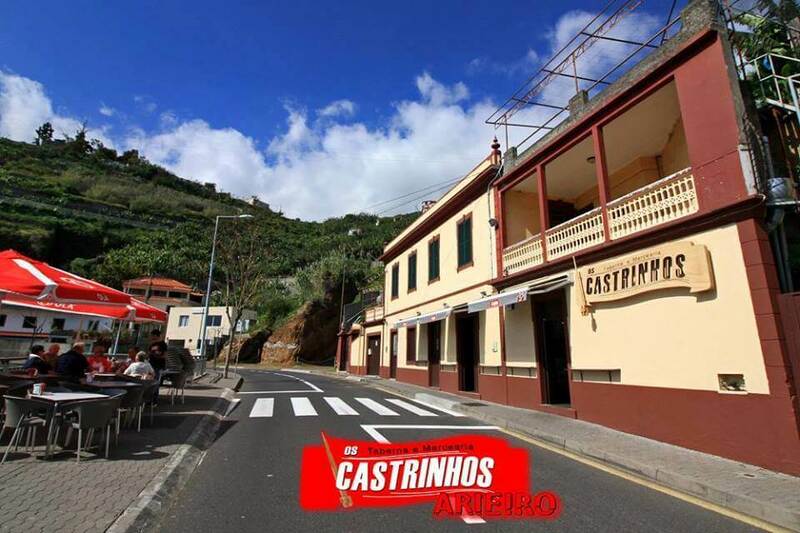 In Santo António area, there’s a pleasant place to relax at the end of the day, called “Fontenário”, where you can get drinks and snacks. They serve “pregos” and “Picados” (beef portions) and show all World Cup games. 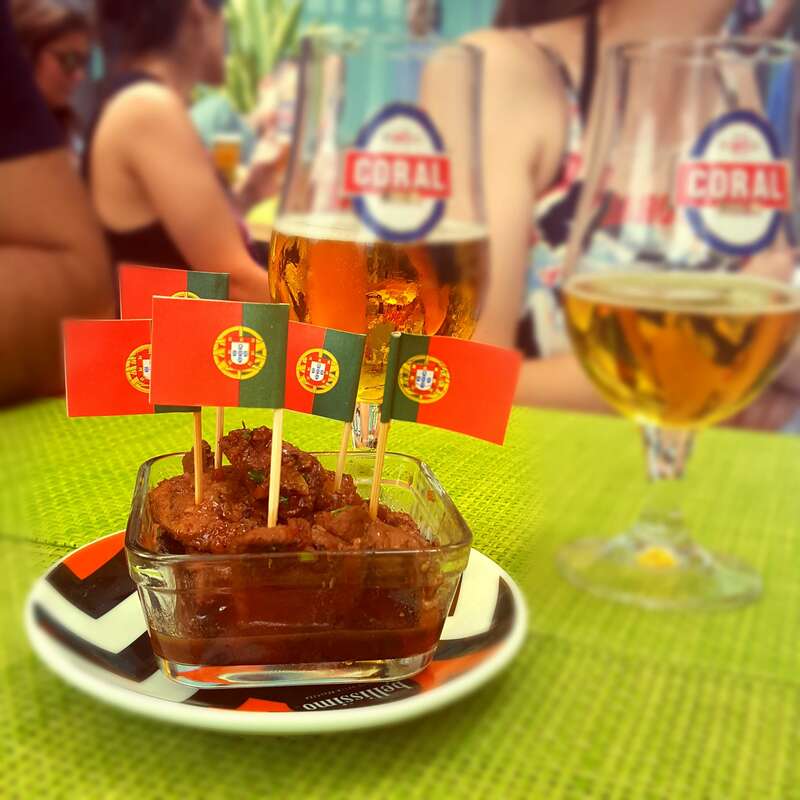 During Portugal matches, beer is accompanied with a free “dentinho” (Madeiran tapas)! Bring it on! If you know other places that you’d like to recommend to see the games of the World Cup, please leave a comment with your suggestion. ⇒ Check out this checklist of things to do in Funchal!